Horned lizard; Carbon, Wyoming. Photo by Penny Higgins/Flickr (Use Permitted with Attribution/Share Alike). Commonly called a "horned toad"* because of its rounded, toad-like shape, the horned lizard is a genus of short-tailed, short-legged lizards in the iguana family, about 3-5 inches in length. 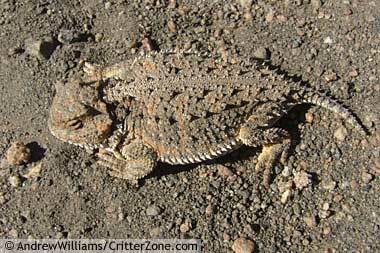 Horned lizards feed on ants and other insects. 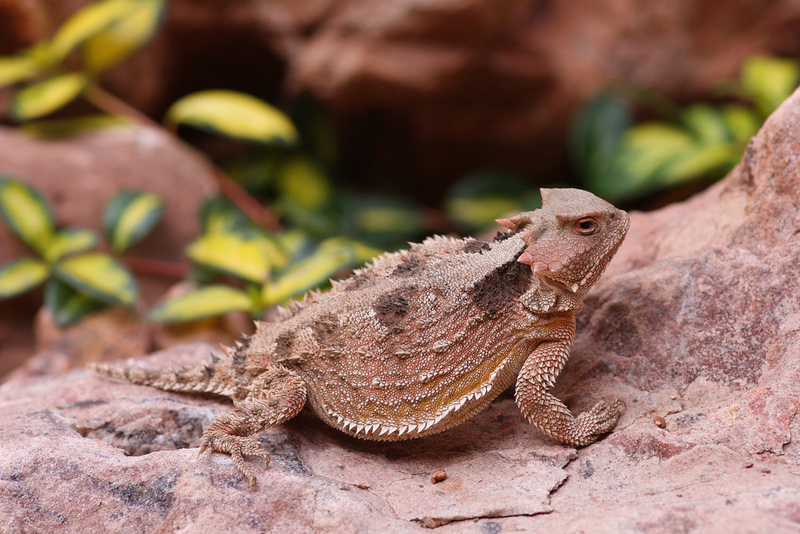 They can have an intimidating appearance because of the horn-like spines on the back of the head and sides of its body, but horned lizards are actually docile and gentle in nature. 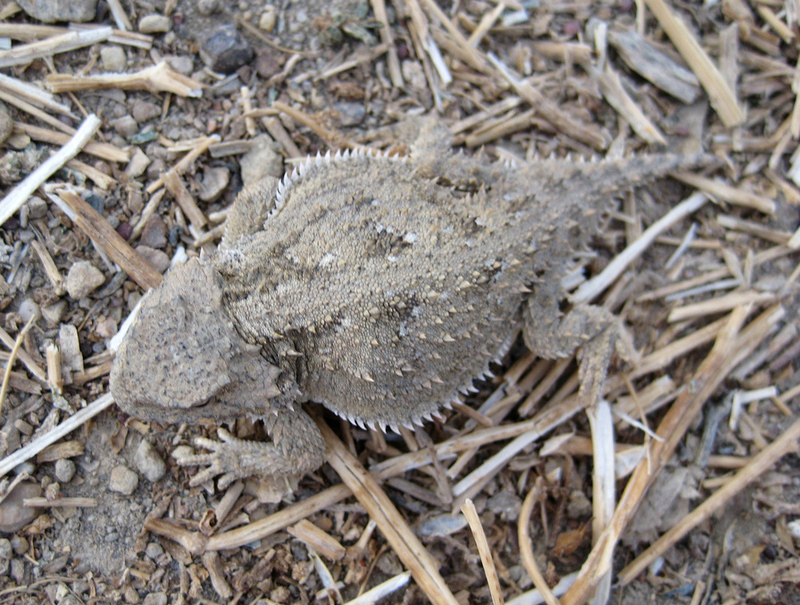 When a horned lizard feels threatened, it flattens and freezes in place, trying to blend with the ground (it can also spray an intruder with blood from the corners of its eyes in defense). * Toads are amphibians, but even the list of state symbols on Wyoming's official website refers to the state reptile as a "horned toad" as does the "Students Corner" state symbols page on the Wyoming Secretary of State's webpages, and it is named so as a state symbol. Horned lizard; greater short-horned lizard in Tonto National Forest, AZ. Photo by Carla Kishinami/Flickr (noncommercial use permitted with attribution/no derivative works). for commercial license or any use.